Large regions containing exceptional concentrations of plant endemism and experiencing high rates of habitat loss. The Integrated Biodiversity Assessment Tool (IBAT) for business provides a visualisation and GIS download tool for protected areas and prioritisation approaches, including biodiversity hotspots. Global in extent. New biodiversity hotspots are periodically added based on scientific assessments of new regions. For example, the Forests of East Australia are the latest hotspot to have been added after research showed that the area fulfilled all criteria. 7 Changing circumstances such as sustained habitat loss or the discovery of new species may mean that areas previously not considered biodiversity hotspots could qualify in a future re-assessment. The Critical Ecosystem Partnership Fund (CEPF) is an alliance among seven nongovernmental and private-sector organizations (including Conservation International). CEPF provides grants to organizations around the world that are working to help protect biodiversity hotspots. Biodiversity hotspots are also used by major foundations and the Global Environment Facility (GEF) to target investments in global conservation. Legal and compliance – An area is not required to have legal protection for identification as a hotspot. Any legal protection and compliance, if applicable, will mainly be of other areas of biodiversity importance whose parts or entire area come under the hotspots. 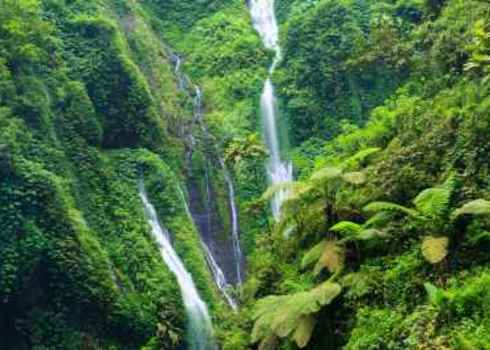 They are, however, referred to in some environmental safeguard standards such as those of the Sustainable Forestry Initiative 9 which require that procurement promotes the conservation of biodiversity hotspots. Biodiversity importance – The biodiversity importance of hotspots is due to the high vulnerability of habitats and high irreplaceability of species found within large geographic regions. This means that these areas and the species present within them are both under high levels of threat and of significant global value based on their uniqueness. Therefore, operations that occur within global biodiversity hotspots should follow rigorous biodiversity assessments to prevent further biodiversity loss within these areas. This is a global scale approach based on coarse scale ecoregions that therefore, has limited use for site-scale assessment and decision making. Biodiversity hotspots will include areas of high biodiversity importance as well as degraded land and urban areas and therefore more detailed assessments are needed to locate the actual distribution of biodiversity within these areas. Social-cultural values – Given the richness of hotspot ecosystems, hotspots are often areas which offer essential ecosystem services. It is estimated that biodiversity hotspots, despite comprising 2.3% of the Earth’s surface, account for 35% of the global ecosystem services. 5 Furthermore, hotspots are home to 2.08 billion people 8 which adds significance to the ecosystem services that they provide. Biodiversity hotspots can include a variety of human land-uses, rural and urban, as well as protected areas under a range of possible governance types therefore many social and/or cultural values are likely to be present in some parts. This however is irrespective of the identification of the area as a biodiversity hotspot. Myers, N. Threatened biotas: “hot spots” in tropical forests. Environmentalist 8, 187–208 (1988). Myers, N. The biodiversity challenge: expanded hot-spots analysis. Environmentalist 10, 243–256 (1990). Myers, N., Mittermeier, R. A., Mittermeier, C. G., da Fonseca, G. A. B. & Kent, J. Biodiversity hotspots for conservation priorities. Nature 403, 853–858 (2000). Mittermeier, R. A., Robles Gil, P., Hoffman, M., Pilgrim, J., Brooks, T., Mittermeier, C. G., Lamoreux, J. & da Fonseca, G. A. B. Hotspots Revisited: Earth’s Biologically Richest and Most Endangered Terrestrial Ecoregions. pp. 392. CEMEX (2004). Malcolm, J. R., Liu, C., Neilson, R. P., Hansen, L. & Hannah, L. Global Warming and Extinctions of Endemic Species from Biodiversity Hotspots. Conserv. Biol. 20, 538–548 (2006). Sustainable Forestry Initiative. Requirements for the SFI 2010-2014 Program: Standards, Rules for Label Use, Procedures and Guidance. (2010).